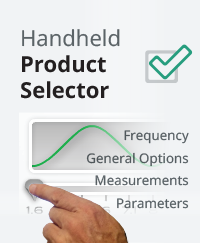 The Field Master Pro™ MS2090A’s continuous frequency coverage of 9 kHz – 54 GHz delivers performance never previously available in a compact, touchscreen handheld spectrum analyzer. Maximize transmitter power and spurious testing with 100 MHz modulation bandwidth, best-in-class phase noise performance, and ±0.5 dB typical amplitude accuracy. 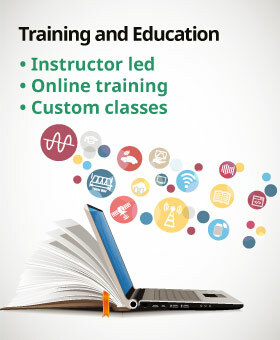 As 5G becomes more of a reality, now is the time to learn as much as you can. This poster provides the latest information on 5G technology. Learn about: 5G Ecosystem, MIMO Evolution, 5G Deployment Strategy, Beam Acquisition & Tracking, Scalable Numerology, Frequency Bands & Ranges, and much more! Data center and network traffic volumes are increasing exponentially as mobile networks start upgrading to 5G and ‘Big Data’ applications become popular. 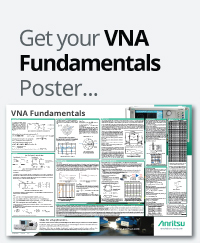 As a consequence, physical-layer devices are required to support faster transmission speeds, larger data capacities, and assured signal quality, in turn making signal integrity analysis ever more important. To meet these needs, Anritsu has implemented more accurate signal integrity tests, such as bit error rate (BER) measurements, crosstalk tests, Jitter Tolerance tests, etc., in its MP1900A test solution for 32G/64G NRZ/PAM4. 25/04/2019 - 10/07/2019 Anritsu’s 5G NR Day Seminar – We’re Coming to a City Near You! Anritsu is a pioneer in the implementation of next-generation wireless technologies while continuing to support existing standards. We offer solutions for the full range of 2G, 2.5G, 3G, 4G, and 5G telecommunications as well as current and next-generation 3GPP, 3GPP2, and IEEE standards including 1xEV, GSM/GPRS, W-CDMA, HSDPA, 802.11, and 802.16. Our portfolio encompasses instrumentation ready to test both early next-generation specifications and legacy technologies. From the chipset to the installed product, our wireless test equipment covers the entire life cycle of wireless infrastructure and user equipment. For Products of Azimuth Systems Inc., please visit Channel Emulator/Fading Simulator category. Anritsu is the industry standard for RF and Microwave Test and Measurement equipment for both field and lab environments, with instruments operating at all frequencies up to 110 GHz and beyond. Our handheld Site Master Cable and Antenna Analyzer, for example, enables field technicians to troubleshoot microwave cables and communication systems and detect problems before they become costly, time-consuming system failures. Other products are suitable for R&D and manufacturing applications, providing extremely accurate measurements of power, network analysis, signal analysis and frequency. The more complex your network or design, the more devices and components must be tested to ensure consistent performance and meet SLAs. 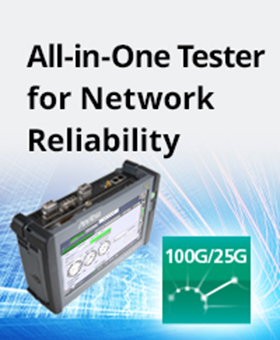 Anritsu provides both inline components to continually verify signal strength, power, and throughput; and external test instruments that can quickly isolate a bad connection or failed component. Anritsu’s broad experience in wireless and optical technology enables us to offer component and device testing solutions that are accurate, reliable and easy to use. Transport datacom applications require extremely high reliability as well as frequent monitoring and testing at each stage of the R&D, manufacturing, deployment and maintenance lifecycle. 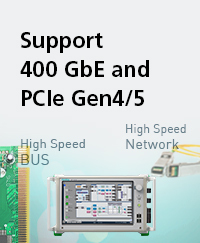 Anritsu provides a range of measurement instruments for Bit Error Rate (BER), Frame and Protocol testing, for networks using such technologies as IP, Ethernet, MPLS, SONET, SDH, DWDM, ATM, ISDN, SS7, VoIP, PDH, DSn as well as future systems up to 43.5 Gbps. Our products are used both by designers and manufacturers of transport and datacom systems and by end user companies monitoring their own systems. Anritsu offers a complete range of test and measurement equipment for the optical communications industry including R&D, production, installation, monitoring, and manufacturing. Anritsu is a recognized leader in high-speed optical technology offerings and field test solutions including evaluating a wide range of optical devices and fiber systems like DWDM. Critical measurements such as OTDR, Chromatic Dispersion, Polarization Mode Dispersion, Loss Test Set, and Optical Return Loss can be made quickly and accurately to maximize network performance and accelerate the deployment of new services. Due to continuing product development, enhancements and the introduction of new products, the list of discontinued products will constantly be updated. Here you can find information on the older models along with information on which new products is a suitable replacement.